MATRIX GRANDSON AND A SUB-ZERO GRANDSON! 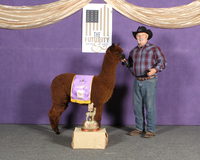 Full Peruvian with Accoyo Felix and Hemingway as grandsires, Connagher brings a lot to any breeding. A phenomenal phenotype, Connagher has style, conformation, and beautiful heavy fleece. Connagher has serious competition around here for breedings, but he will get his share. A resource like this shouldn't go untapped. 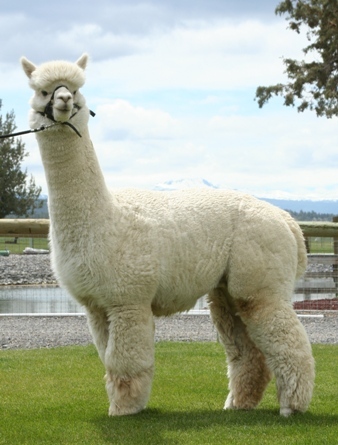 Connagher's fleece has been consistenly tested over the last 13 years and his AFD has never gone above 21.6. 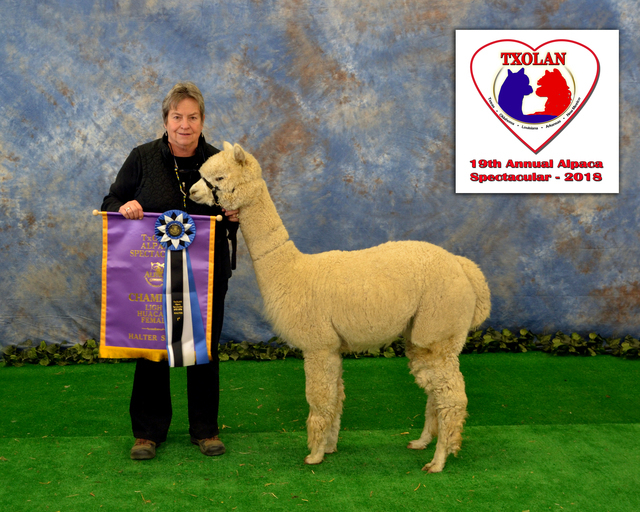 His 2014 clip produced 7.5 total pounds with a 4.4 pound blanket weight. His 2014 AFD: 17.8 SD: 3.6 CV: 20.4 %>30: 0.6. 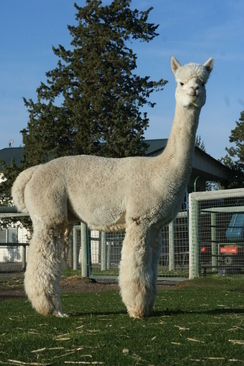 Connagher is a male you put on a female to give her crias style, great confirmation,density and a lingering fleece fineness. In 2016 at the age of 15.5 Connagher still fills our hearts with amazement. His 2016 fiber clip put him in the EPD top 1% in AFD, SD, SF, and % of microns over 30.